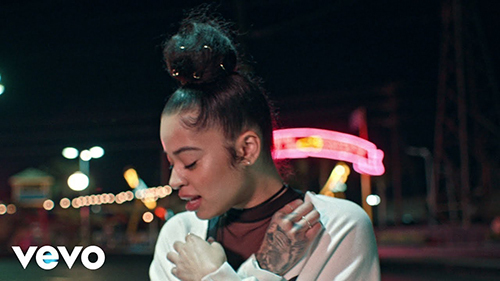 "Boo'd Up" is the debut commercial single by English singer Ella Mai from her third extended play, Ready. Serving as the lead single for the EP, the song peaked number five on the Billboard Hot 100 in the United States. The song was written by Mai, Joelle James, Dijon "DJ Mustard" McFarlane and Larrance Dopson of 1500 or Nothin', and produced by the latter two. It became the recipient of two Grammy Award nominations for Best R&B Song and Song of the Year at the 61st Grammy Awards. The single logs its 15th week in charge on the chart dated Sept. 29, matching the run of Mary J. Blige’s “Be Without You” from January - April 2006. “Boo’d” holds on to the chart’s top rank despite an 11 percent drop in audience in the week ending Sept. 23, according to Nielsen Music.